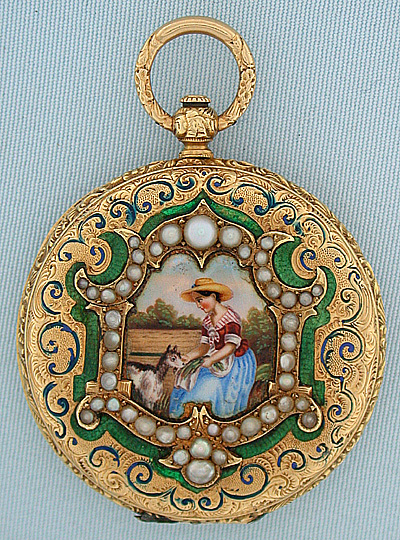 Fine and lovely Swiss 18K gold, pearl, and painted enamel ladies antique pendant watch by Fred. Courvoisier circa 1850. The back beautifully enameled with a scene of a young girl feeding her pet within a border of enamel and large pearls, with insignificant restoration. 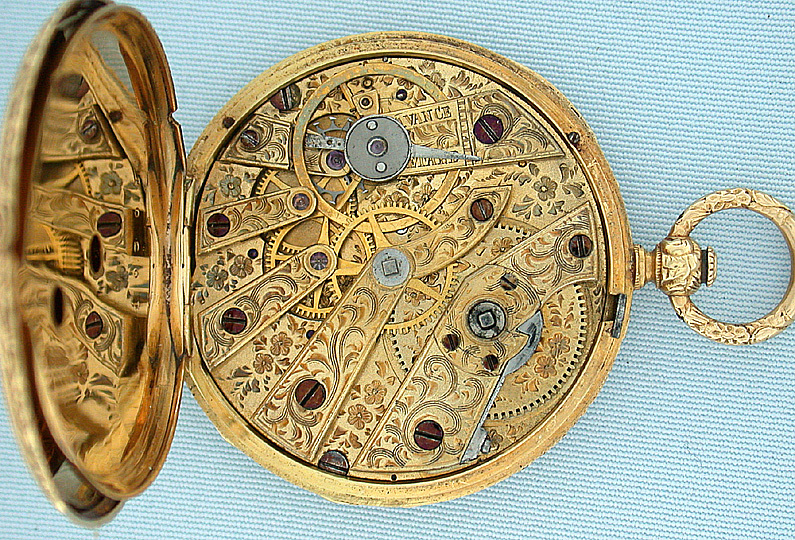 The case engraved overall with cast and chased band, pendant, and bow. 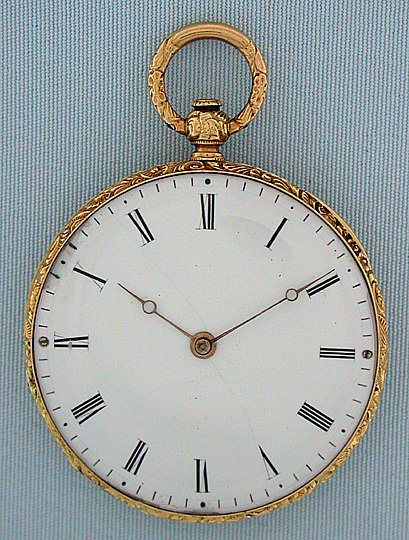 White enamel dial (insignificant edge restoration) with gilt Breguet hands. 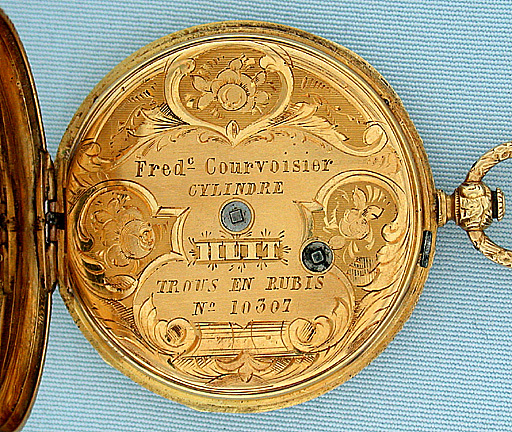 The gilt 10 jewel cylinder movement beautifully engraved overall. The dust cover also engraved. A deluxe little watch.